Mistral Boilers have over 40 years experience in producing oil fired heating boilers which is clear from their commitment to developing very efficient boilers with low emissions. Mistral Boilers are proud to be a British brand, manufacturing their condensing and non-condensing oil boilers in Shropshire which are both cheap to run and produce low emissions. If you’re looking for an oil boiler replacement you won’t find a wider range than Mistral’s with options for indoor, outdoor and boilerhouse installation to suit every type of home. Find out exactly how much it will cost to get a new Mistral boiler installed by sending us an enquiry today. Up to 3 Gas Safe engineers will be in touch to provide competitively priced , free and no-obligation quotes. The popularity of Combi boilers continues to rise, and for good reason. They are extremely efficient, and can heat your room and hot water at a very impressive rate. Oil combi boilers are no different, and Mistral serve this range very well with 4 different offerings: Combi Standard, Mega Combi Standard, Combi Plus, Mega Combi Plus. These are all available in both condensing and non-condensing options and all can be used in tandem operations. See below for a more comprehensive list of benefits you will gain with Mistral’s combi range of oil-fire boilers. Prices will differ depending on the kW output your home or business requires. For smaller premises, the Combi Standard CC1 boiler from Mistral would certainly meet your requirements and more with 15 – 20 kW output. If you’re looking for a real work-horse, then the Mistral Mega Combi MC7 Plus will exceed your heating requirements, but will obviously be slightly more pricey. As with all new boiler purchases, you will have to budget approx. £500 – £1,000 for the installation costs of a professional Gas Safe engineer. So make sure you Get quotes for a new Mistral boiler. Added to that, the Mistral sealed system boilers are all supplied with all the required components for quick and direct coupling to a pre-installed water heating sealed system. The multi-directional flue outlet and compact size mean that installation will be pretty quick and painless. 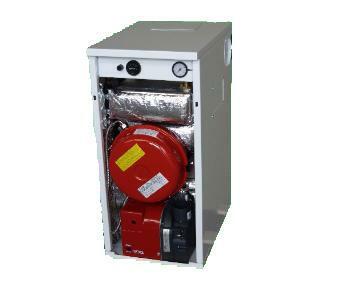 Mistral system boilers are available in both condensing and non-condensing models, both of which have 4 different options and the pricing of these can be seen accordingly. As you might expect, the installation costs of a system boiler will be slightly higher than a combi boiler as there are more moving parts. However, if you are replacing like for like, then even these can be lower than you would expect, and will often come in at the £700 – £900 range. Again, be sure to get at least 3 quotes when replacing your oil system boiler so that you can make a fair comparison and pick the right quote for you. 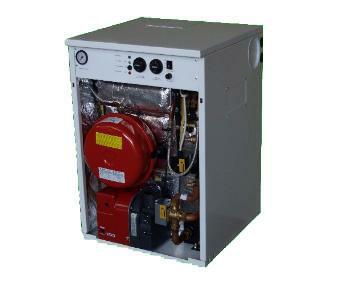 Get quotes for a new Mistral boiler. It’s important to keep your boiler in the best possible condition with an annual boiler service by a professional engineer. This will ensure the boiler can operate as efficiently as possible, keeping heating bills to a minimum, and that there are no potential safety issues to be concerned about. A boiler service is also a great way to catch and fix small repairs before they have the chance to worsen over time and cause an expensive breakdown. Find out what’s involved in an annual boiler service, why it’s so important, the benefits and how much they cost in Mistral Boiler Service. Every boiler manufacturer offers a standard warranty with their boilers which last between 1-10 years. The warranty is your insurance policy and means if a fault develops the manufacturer will resolve it within a specified time frame. Some warranties include both parts and labour while others may only cover parts. The most important thing to remember is to get your boiler serviced by an OFTEC registered engineer every year as failing to do so is likely to invalidate your warranty. For more detail about this brand’s warranty (including the small print) take a look at Mistral Boiler Warranty. Even the highest quality boiler can develop faults and problems as they age. Some are minor issues you may be able to handle yourself but most will need an OFTEC registered engineer to diagnose and repair the problem. To find out if there are any common problems associated with this manufacturer you can read our guide to Mistral Boiler Repairs & Common Mistral Boiler Problems. Error codes may appear on your boiler’s display; it’s your boiler’s way of telling you that something is wrong. Each manufacturer uses a different coding system to help an engineer to diagnose a fault. In some cases it may be a simple issue such as low pressure which you can adjust yourself but more technical faults will certainly need a professional. We’ve put together a list of error codes for all Mistral Boilers to help you understand what’s wrong before you contact an engineer.